Mi querida sobrina Tania, me ha dejado compartir este maravilloso texto en inglés con ustedes. 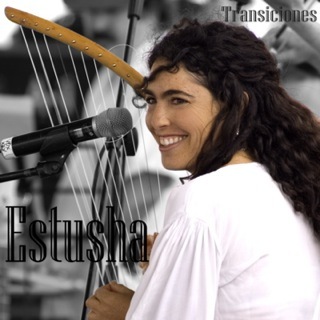 Tania Grinberg nació en México D.F. en Marzo de 1987; asistió al Colegio Eton y terminó sus estudios en el Colegio Americano (American School Foundation) formando parte del Consejo Estudiantil y de la Lista de Honor. Practicó ballet clásico (técnica cubana) con Eva de Keisser en el Estudio de Ballet Tecamachalco por 12 años. Estudió Relaciones iInternacionales en la Universidad Iberoamericana; comenzó a dar clases de danza en 2004, fue voluntaria en el Patronato Cuajimalpa impartiendo clases de inglés y dando apoyo en el Programa “aprender jugando” para el cual organizó una donación proveniente del Colegio Eton para construir una nueva hemeroteca. Fue voluntaria en el Kibbutz Hazorea en Israel de 2005 a 2006. Trabajó en el Preescolar del Colegio Eton en la Ciudad de México de 2010 a 2012. Está cursando la maestría en Educación en la Universidad de Toronto, Canadá. Este fue un trabajo realizado para el OISE (Ontario Institute for Studies in Education) dentro de la Universidad de Toronto. Se introduje al mundo de la contemplación después de haber realizado un ejercicio de meditación diario por 3 meses, mientras cursaba la materia de “the contemplative practitioner” con el Profesor Jack Miller en el Departamento de Curriculum Studies and Teacher Development de OISE. They have spoken about you in Spain, with the Interpol, and in the media. You have been kidnapped, tortured, murdered. They saw you helping Sub commander Marcos in the Zapatista Revolution and walking with a head turban down the streets of La Condesa. Ex president Carlos Salinas de Gortari has been blamed for your disappearance, so have NASA, ETA and a secret government behind the Men in Black. You are already an enlightened one, a transcendent man, someone who escaped reality through the interdimensional doors of the mountains in Tepoztlán, between the Windows and ponds of Quetzalcoatl, the feathered snake. You are now a martyr of science, a referral to New Age, and the great Mexican psiconeurophisiologist. You were an illuminated neurotic, chronicler of Pachita the northern chaman, apprentice of the wise Mayan Nahual Don Pachito, but for me, you were my dearest Teacher. 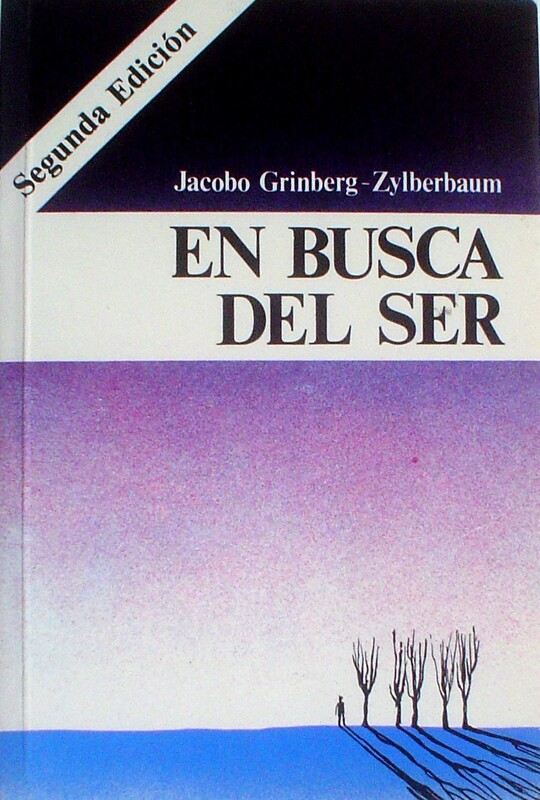 For Jacobo Grinberg Zylberbaum, perhaps Mexico’s most controversial neuroscientist, 1994 marked a high point in his professional life (Quinones, 1997). At his laboratory in the psychology department of the National Autonomous University of Mexico (UNAM) in Mexico City, he recorded the brain waves of a shaman and was getting to understand the implications of this. He had won a large grant from Mexico’s National Science and Technology Council, and had finally founded the National Institute for the Study of Consciousness (I.N.P.E.C.) (Quinones, 1997). After almost twenty years in his lab, he was finally receiving international recognition. Then in December, two days before his long-awaited trip to Nepal, he failed to attend his own birthday party where family and friends were waiting for him. When Jacobo Grinberg did not return from Nepal as planned, still no one thought much of it. Everyone thought he had probably just extended his stay. But the weeks became months. Nothing was found. 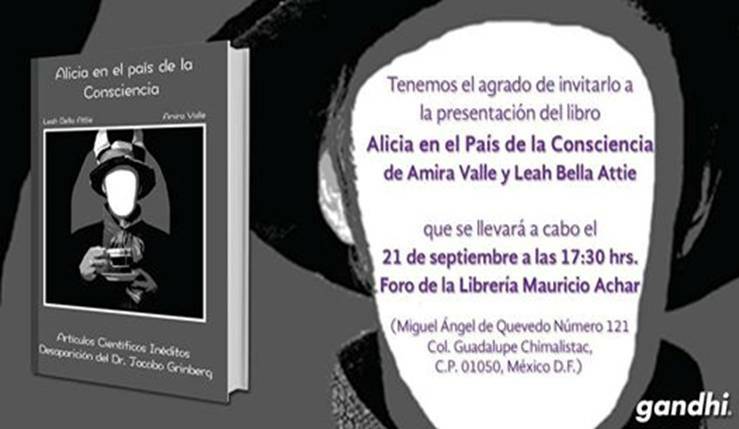 No record of Jacobo Grinberg or his wife even leaving Mexico. It was May1995, six months after his supposed trip, when it finally dawned on his family and friends that he had vanished (Quinones, 1997). Since then, no trace of him, dead or alive, has been found. All that remain are his books, his theories, and his students’, friends’ and family’s memories of him. But who was this man? Who was Jacobo Grinberg? He was my uncle, the oldest of 6 brothers, orphan at age 12, father of Estusha my first cousin, grandfather of two girls he never got to know. His life was divided between two phases; First, the secular, Scholar and scientific; Second: the mystical. He was a deeply spiritual, semi-observant Jew, fluent in subjects like brain electric field analysis who wrote more than 50 books; some are about neurophysiology, others are read like religious mysticism. His main goal was to justify the magical worldview he discovered with the shamans through neuroscience. He wanted to prove that humankind is interconnected. I have a recurring memory of being in the hospital, holding my dad’s hand and telling him that I understood his pain and wanted him to be free of it. He was dying from an incurable intestine disease of which scientists and medics know very little about. I was angry, sad and exhausted. In therapy I had spoken so much about letting go, but how could I? When I saw into his eyes and allowed myself to forgive him for wanting to give up on life, I was present; I felt a very particular peace in knowing that somehow my love for him had transcended. I accepted the possibility of my father’s death and something changed inside me. Later I would understand that “pointing toward impermanence is pointing towards the eternal”, as Eckhart Tolle (n.d.) describes in “A New Earth” (p. 234). I believe my journey to find spirituality began much before this. However, it was not until I needed hope that I really began searching for some peace within me. I started reading Eckhart Tolle’s (n.d.) book and began to understand what consciousness really means. Taking Dr. Miller’s course in OISE about “the contemplative practitioner” and practicing meditation helped me put the pieces together. My father’s disease, his choice to fight, and his survival made me comprehend life’s fragility and made me want to hold on to the spirit of being; being free, being love, and being alive. What could I do to deeply live a fuller life? Coincidentally, or not, I came across my uncle’s Jacobo’s books and memoirs. I had grown up hearing about his work, his brilliantness, but I particularly remember hearing about his spirit. From what I can recall and what people tell me, Jacobo was an enlightened man, he was compassion himself. I have read some of his books, I explored his journals, his most famous experiments, and have read other people’s testimonials about what my uncle did and who he was. I believe I will never fully understand what happened to him, but for the first time in my life I feel ready to face uncertainty. In this work I will share as much as I was able to understand about Jacobo Grinberg’s life and work. Through his legacy I have found a personal connection between him and I, and that is our love for life. El lugar de donde vengo. the place I hail from. Jacobo’s interest to study the human mind was probably rooted from his Mother’s death at age 12 from cerebral cancer. He graduated from the Faculty of Science by the National Autonomous University of Mexico (UNAM) were he studied psychology. Amongst his graduate studies, he completed his PhD from the New York Medical College where he studied an electrophysiological registry of human brain’s exposition to geometric stimuli (E. Grinberg, n.d.). The most popular and known stage of his life was when he began to work with Shamans from a scientific perspective by evaluating the manifestations of consciousness. Someone came to Brother (referring to Pachita or Bárbara Guerrero when the spirit of Cuauhtémoc takes over her) and said that -the woman patient who needed a bladder transplant was waiting to come in. Pachita raised her arms and I saw how something materialized between her fingers. -It’s a bladder -she said to me, knowing how deep my amazement was at the moment. A young woman came in the room and lay down. Brother made an extensive cut and introduced his hand in the interior of the wound. He found something and invited me to feel it too. (…) I introduced my hand and felt a thin conduct. -You will feel a little stone in the renal conduct-, she said. And as soon as I felt it, it disappeared.-That girl is cured and doesn’t need a bladder –said Brother with certainty. I turned back to the table next to Pachita and realized that the bladder was gone. -Brother –I asked, where’s the bladder? -Oh sweet child –she answered-, if you don’t need one, you don’t need one and it’s gone, just like that. Jacobo’s experiences while working with Pachita began to influence his scientific thinking. He tried to explain Pachita’s healings with a theory he called Sintergy, a word that unifies both Synthesis and energy (Grinberg-Zylberbaum, 1991). He explains this theory by underlying that there is a spatial structure that appears as empty and invisible to our perception, but that in reality contains in each of its parts information about the rest of the parts. The mechanics of this phenomenon is called lattix or matrix (Grinberg-Zylberbaum, 1991). The structure of space has many dimensions that when affected, affect the lattix as well, but the lattix has the ability to modify itself as well. Forces such as gravitational force, interactive force and electromagnetic force originate from the lattix and each force is what Jacobo calls a Sintergy band (Grinberg-Zylberbaum, 1991). Grinberg (1991) explains that from a psychophysiological point of view, the brain is a lattix; the de-codification of Sintergy bands is possible and accessible because our brains work in a similar way, between reality and perception, transformation processes exist that happen at neuronal level; this means that we intervene in the creation of perceptual reality actively and that we are interconnected with objects and other living beings. To access reality how it really is, we should place ourselves in the unity’s consciousness and erase our filters, our personal history and conditionings (Grinberg-Zylberbaum, 1994). What we perceive is a limited human creation. A person’s consciousness will determine the reality he or she perceives. Only when we become the lattix can we perceive reality how it really is (Grinberg-Zylberbaum, 1991). The meditation techniques of Mexican shamans consist in the observation of many experiences; when the observer incorporates in an act of observation all the contents of the experience, he melts with them and so the division vanishes, I Pure appears. Grinberg realized a study that helps explain the Sintergy theory. He named it “Study of Units of Thought” were he explained that “Nano states” or subunits of microstates exist at neural level in our brains (Grinberg-Zylberbaum, 1994). Neuroscientists have recognized that these units, combined form a message, pattern or code but Grinberg (1994) wanted to know if these messages are particular for each individual. In his book “I as an idea” Grinberg (1994) explains how the creation of “I” is constituted as something solid, stable and independent, which in reality is not. He claims that reality is a series of continuous changes; solidity and permanence are nothing but illusions resulting from patterns of interpretation used by our brains (Grinberg-Zylberbaum, 1994). The essence of our personality relies in the content, not in the container. When we think about a river we tend to see one River as a permanent body of water; however, what we call River is only a continual repetition of patterns concentrated in a particular space, the water is flowing, moving constantly, changing and is never the same. What I have come to understand from this is that We (I) are (am) an idea, produced by another idea, produced by another idea, because there is no We or I as static identity. When we become aware of this, we get closer to a new and authentic form of knowing and existing, which binds us to the “other” to others, and to everything. No selfishness exists here. This aligns with the idea Eckhart Tolle explains in his book “A New Earth” when he talks about a duality within us of which we are not aware. He claims that when we are absorbed by our egos we become prisoners of our minds (Tolle n.d.). You must be asking yourself -but what does this have to do with Pachita? Well, the connection lies here. The curative powers of shamans and curanderas like Pachita come from their ability to gain access to the informational lattix and change it, thereby affecting reality (Grinberg-Zylberbaum, 1980). Jacobo Grinberg wrote 7 volumes about the Shamans in Mexico. He made different studies to measure shaman’s “neuronal fields”. One of the Shamans he did a study on was Don Rodolfo. Grinberg measured his EGG levels and proved that his brain functions in very high frequencies of coherence, which, I understand, as the capacity to contemplate experience with high levels of abstraction or consciousness (Grinberg-Zylberbaum, 1987). A brain like don Rodolfo’s works at high levels of coherence or at high levels of neuron Sintergy (a psychophysiological mechanism characterized by intuition and sensibility) (Grinberg-Zylberbaum, 1987). The interaction between the neuronal field of the brain and the basic structure of time and space (quantum field) is possible When Shamans enter a state of trance or hypnosis. (Grinberg-Zylberbaum, 1987). Jacobo’s s “explanation of reality” was a combined theory of eastern philosophies, science, magic and quantum physics. As a celebrated researcher for the UNAM, he had experiments on the transmission of thoughts at a distance and the Reading technique that involved seeing with touch. He strongly believed in the interconnectedness of consciousness and the great lattice or matrix (E. Grinberg n.d.). His theories resonate with Buddhism’s idea that I is a mental continuum of instances of perception that changes constantly at a personal level. Just as a rock is described by science to be a combination of electrons and subatomic particles that build matter, so should we understand ourselves; we should learn to associate I as something impermanent. I ‘m distressed to see such a longing to concretize and transfer the measureless to a human dimension (…). What connects individual consciousness with being? What illuminates man and connects it with peace? I have discovered within me the existence of a lightened wisdom entangled in layers of structures. Through meditation I learned how to open them and let out what knows and what Is; I saw it happening by everyone who used the technique. I concluded that free meditation connects the Being with what it illuminates. My curious spirit, knowledgeable of scientific rules had been captured in the difficult task of figuring out how to omen contact with he who cannot be mentioned, Tao’s voice, with Being, with God .I discovered that space is organized and that one of the grounds to establish contact is to reproduce such organization in the Nervous System (p. 63). Scientists criticized Jacobo’s theories of Pachita claiming that he had lost his mind. Many people, including myself at the time, failed to believe in his discoveries. Jacobo Grinberg himself came to think that Pachita’s and other Shaman’s practices were para-psycologic realities, which at first to Jacobo seemed to be contradictory to reality; however, today I believe that we don’t know the limits of human capacity. We have placed understanding and living apart from each other. The wise indigenous people in Mexico have a different perception about reality and the limits between one being and the other. The way they perceive the world is the way in which the conception of the world will be explained; which is a fundamental truth. The way we describe reality, any reality has to do with how we perceive it; but we as I are in the center of it. In the loss of that perception we are able to unify all and I; that is were hope lies. Grinberg-Zylberbaum, J. (2008). Cantos de Ignorancia Iluminada. México, D.F. , México: Ediciones Barataria. Grinberg-Zylberbaum, J. (1994). El yo como idea. México, D.F., México: Universidad Nacional Autónoma de México: Facultad de Psicología. Grinberg-Zylberbaum, J. (1991). La Teoría Sintérgica. México, D.F., México: Universidad Nacional Autónoma de México: I.N.P.E.C. Grinberg-Zylberbaum, J. (1987). Los Chamanes de México: Psicología Autóctona Mexicana (Vol. 1). Mexico, D.F., México: CONACYT-UNAM. Grinberg-Zylberbaum, J. (1980). Pachita. México, D.F. , México: EDAMEX. Grinberg-Zylberbaum, J., Valle, A., Perez, M. B., Pflieger, M., & Corkidi, G. (1994). Escalla Electroencefalográfica y topográfica de la actividad cerebral: nano estado, micro estados y macro estados en el cerebro humano. Universidad Nacion Autónoma de México, Facultad de Psicología. México: I.N.P.E.C. Kent, James L. Psychedelic Information Theory: Shamanism in the Age of Reason, Chapter 02, ‘An Overview of Physical Shamanism’. PIT Press, Seattle, 2010. Miller, J. P. (2006). Educating for Wisdom and Compassion: Creating Conditions for Timeless Learning. California: Corwin Press. Morales, J. (2002). Jacobo Grinberg y el Círculo Mágico de Almatriche. In J. Morales, & Hernán (Ed. ), Atrapado en lo Tremendo: El sistema de conociemiento de Carlos Castañeda (p. 64). Rossario, Argentina: Eleven. Tolle, E. (n. d). A New Earth: Create a Better Life. [Kindle DX version]. “Cuauhutemoc (born c. 1495—died Feb. 26, 1522) Last Aztec emperor, nephew and son-in-law of Montezuma II. He became emperor on the death of Montezuma’s successor in 1520, while Hernán Cortés was marching for the second time on Tenochtitlán, the Aztec capital. He defended the city during a four-month siege that left most buildings destroyed and few Indians surviving. Tortured by the Spaniards in an effort to make him reveal the location of hidden Aztec wealth, his stoicism became legendary. Later Cortés, hearing of a plot against the Spaniards, had Cuauhtémoc hanged” (Britannica Encyclopedia, 1994-2008).